The Weekend | RV There Yet? Another weekend is over – where does the time go? We had a good one – here are the details…. 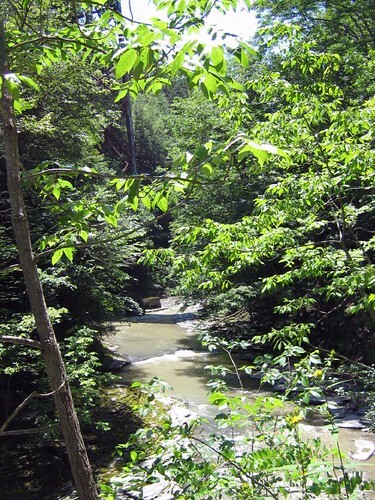 Friday – we got an early start on what promised to be a beautiful day, and headed north to Watkins Glen, NY. 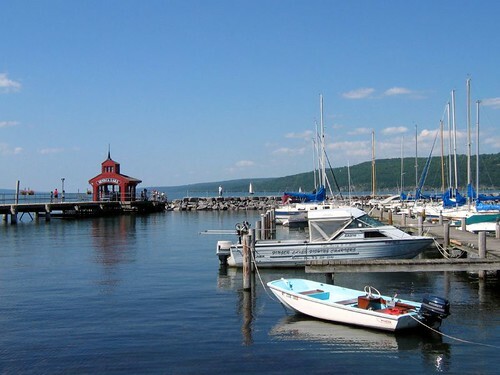 Now Watkins Glen is know for the NASCAR races, wineries, and the Watkins Glen State Park. We only did the latter (though we bought ice cream where we could have purchased anything NASCAR that we wanted!). 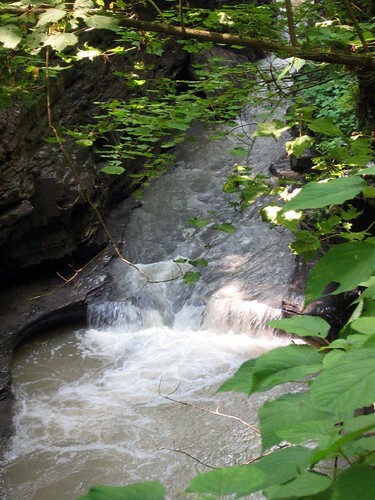 To quote the website – Within two miles, the glen’s stream descends 400 feet past 200-foot cliffs, generating 19 waterfalls along its course. 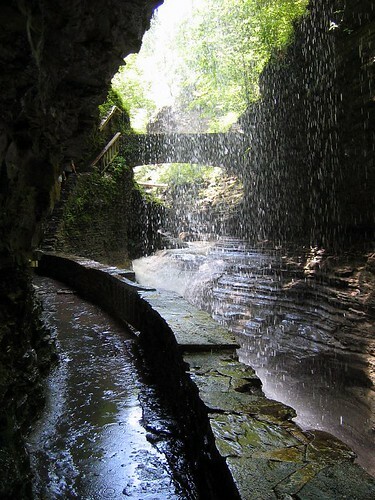 The gorge path winds over and under waterfalls and through the spray of Cavern Cascade.. 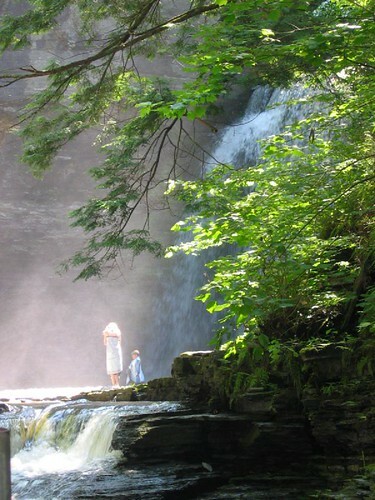 The under two miles did include 850+ steps, but the exertion was well worth the eye-candy of all of the falls. We went as a group with the two other couples we are working with. One of them came to this project so the husband could attend his high school reunion (in Watkins Glen) several weeks ago. It was his 65th! It was inspiring to not only hear all of his stories of growing up in the area, but also to celebrate his good health and ability to still do “the Glen” at age 83! He’s quite a guy! But back to the falls. WOW – they were great. Here are a couple of pictures, but believe me, they really don’t do it justice. It was quite a spectacular hike. While we were in the area we also stopped at the Havana Falls – here’s a shot from there. I couldn’t resist the sunshine on the children playing in the falls. I would have liked to have seen more of the Finger Lakes area, but the best we could do was a quick lake-side stop at Seneca Lake. As you can see, it was a very pretty day. So then there was Saturday…. Sunday was early church at Bridgewater Baptist Church, dinner at Montrose, sewing and nap in the afternoon and then off to a drama production about the life of hymn writer Philip Bliss at The Little White Church in Conklin, NY (just up the road a piece!). A lovely peaceful day. Like most of the East Coast, it’s HOT HERE!!!! Four more working days – and then we head (in the truck only) to Marysville, OH to see Toby & Tammy and the girls. Whooeee! Deb and I have been talking about going to the Glen for several years and i think you have inspired her. Me too for that matter. We stopped at Rickett’s Glen State Park in Pennsylvania over the 4th of July weekend but all the falls trails were closed due to the damage the heavy rain and flooding did. PS – The Photo’s are great. ooooohhh – you should go! There is really a lot to do in that area. Even the Corning Glass Museum (which I hear is pretty cool) is not too far away. I think there should be a road trip in your future!